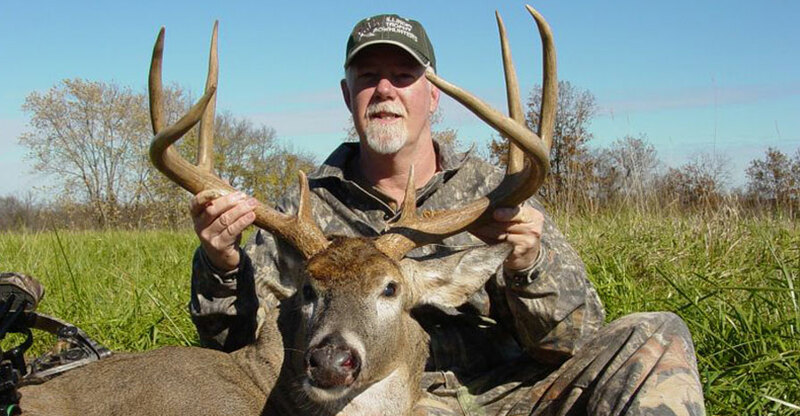 Back in 1991 our founder, Steve Phelps, wanted to share his passion for whitetail deer hunting with others so he became a whitetail deer outfitter and started ITB. He wanted to offer guided deer hunts for bow hunters that were managed and run by bow hunters. The original concept was to control about 5000 acres in Pike County Illinois and to see how good the bow hunting could get if it was managed the correct way. 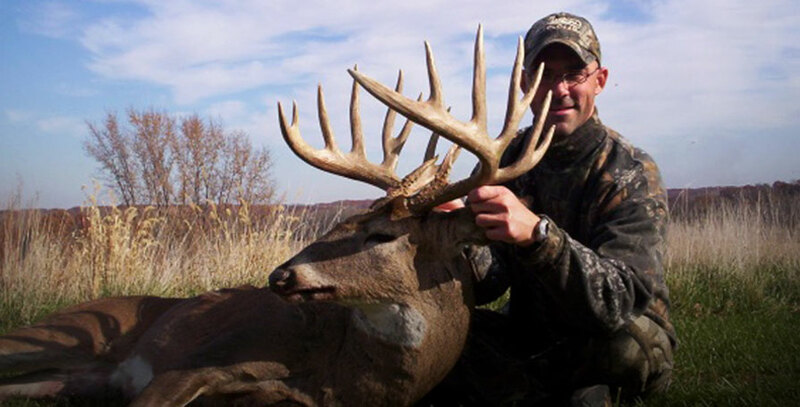 These guided deer hunts would only be during the rut, and just 3 weeks a year. This made the farms we managed a refuge, or sanctuary the remaining part of the year. At that time, we were one of the original whitetail deer outfitters in Illinois. Since we wouldn’t start deer hunting till the end of October, we knew our neighbors would be hunting a month before we began as the deer hunting season in Illinois opens on October 1. This worked to our advantage each year, as when they hunted the early season, they would push the best bucks into our properties before we began to hunt. When our first week hunters arrive, it’s like opening day since the bucks on our farms have not had any hunting pressure for 11 months. Steve also paid great attention to the details of every farm and developed plans on how to maximize the opportunities for his hunters. To effectively hunt these farms, we would determine where the stands should be placed, and the approach to the stands based on various wind conditions. We would then cut in shooting lanes that would not exceed 25 yards in order to minimize wound rates and increase our kill percentage. 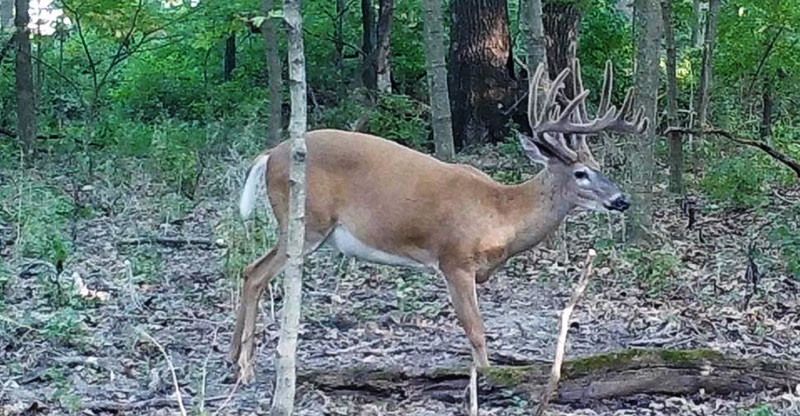 Often the yardage for kills is about 15 yards – that is because tree stand set ups are done by bow hunters for bow hunters; a key ingredient to being a successful archery whitetail deer outfitter. We also knew that we had to work with the farmers who would be working the farms that we would be hunting. We worked with them and shared our input on crops and food plots in a way that complimented our deer hunting. This partnership with the farmers was another key ingredient to offering quality guided deer hunts. Today, over 25 years later, Illinois Trophy Bowhunters is reaping the rewards from these early ideas that Steve had implemented. 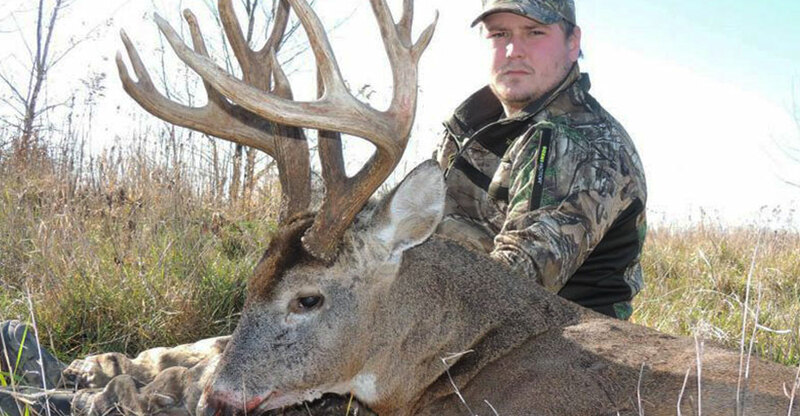 We are a highly respected Illinois deer outfitter and our guided deer hunts are more popular than ever. Each year, the best buck we take scores in the 190 – 200 inch range. We are taking one 200 inch whitetail almost every year! Our hunting camps success rates can be as high as 90% for shot opportunity and 70% for kill rates! This mostly happens during weeks with good hunters and good weather, but the stage is set for the opportunity to achieve these numbers on any farm, during any of the 3 weeks that we bow hunt. Lastly, the most important achievement of ITB for Steve is that fact that our bow hunters are returning to hunt with us for 5 – 10 years in a row. That is the ultimate compliment that our efforts are successful. Our rebooking rate has averaged around 70% for the last 10 years! That happens because our hunters know, that the next day they spend in the woods with us, they can take the best buck of their life. Even if they took a 160 class whitetail deer home from ITB last year! We hope you will join our group of satisfied deer hunters, and book your next guided deer hunt with Illinois Trophy Bowhunters!